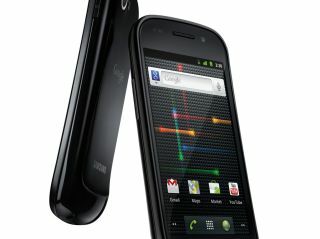 Google employees have confirmed via myriad social networks that the Ice Cream Sandwich update for the Nexus S is in testing. Although the posts have now been deleted, Android Police has nabbed a few words and screengrabs from the various mediums, and it looks positive for the update of the second flagship Android handset. "Just got Ice-cream Sandwich update on my Nexus S & it's looking great. Yeah an OTA, but it's an early one for Google employees so we test it further so it's even more awesome when you guys get it. So sadly I can't comment on it more at this time..."
It seems that it was just a little too awesome as the posts have been removed - but what it does do is provide hope for the future of the platform when it lands for the likes of the Samsung, Sony Ericsson and Motorola owners all rocking single core handsets. While a Google employee talking up the power of a platform isn't exactly mind-blowing, the fact it's in testing and looking good should mean that the imminent OTA updates won't slow down or ruin the user experience on older handsets - here's to January 2012, when the first batch of upgrades should finally begin.